Epidemiologic and prevalence surveys from the past 20 years have established a significant association between comorbid substance use and mental health disorders [Phillips and Johnson 2001]. In the HIV-infected population, comorbidity of substance use and mental health disorders is disproportionately higher than in the non-HIV-infected population [Chander et al. 2006]. Similarly, substance use and certain mental health disorders have been shown to be independent risk factors for acquiring HIV infection [Chander et al. 2006]. Growing recognition of the prevalence of dual substance use and mental health diagnoses has been accompanied by efforts to provide training for clinicians in these areas. Concurrent diagnoses of HIV, substance use, and mental health disorders may affect one another, complicating the course of HIV infection. Correct diagnosis of mental health disorders, as well as HIV-related, substance-induced, and medication-related conditions, may be difficult, particularly because patients with the three disorders are more likely to present after developing serious medical complications of HIV [Kranzler and Rounsaville 1998]. Use of psychoactive substances may alter the presentation, course, and treatment of both mental health disorders and HIV infection and may limit the effectiveness of psychotropic medications. Untreated mental health disorders, particularly depression [Ferrando et al. 1996; Avants et al. 2001], and active substance or alcohol use disorders [Arnsten et al. 2002; APA 2003] have been associated with poor adherence to treatment. Substance use may trigger or exacerbate mental health disorders and diminish effectiveness of treatment. Cognitive impairment, social disorganization, and reduced motivation, which may be associated with any of these three disorders, may seriously impede an individual’s access to medical care. Interpersonal difficulties may be intensified, which may negatively affect HIV care. For HIV-infected patients with co-occurring substance use and mental health disorders, services that successfully combine substance use and mental health treatment with HIV care may positively affect the patient’s overall medical care. Below are terms used in this chapter that may not be used regularly in the primary care setting. A clinician’s familiarity with the concepts outlined in below can enhance accurate assessment and treatment of HIV-infected patients with co-occurring substance use and mental health disorders. Dually diagnosed: Patients with co-occurring mental health and substance use disorders. Triply diagnosed: HIV-infected patients with a mental health and substance use disorder. In the mental health literature, both terms, dually and triply diagnosed, are sometimes reserved for individuals with severe, disabling mental health disorders, such as chronic psychotic disorders. In this chapter, the terms refer to a broader range of mental health disturbance, for example, a patient with mild depression and alcohol abuse. Primary mental health disorder: A mental health disorder that is endogenous and usually manifests before substance use. Substance-induced disorders: Intoxication, withdrawal, delirium, persisting dementia, persisting amnestic disorder, psychotic disorder, mood disorder, anxiety disorder, sexual dysfunction, and sleep disorder attributable to the effects of drugs or alcohol. Severe and persistent mental illness (SPMI): Mental illness that can lead to substantially compromised social and occupational functioning. Patients with SPMI are commonly diagnosed with schizophrenia and schizoaffective disorder; other diagnoses can include mood disorders, such as bipolar disorder, or personality disorders, such as borderline personality disorder. However, it is important to note that the disorders described above do not always result in SPMI. Kranzler HR, Rounsaville BJ, eds. Dual Diagnosis and Treatment: Substance Abuse and Comorbid Medical and Psychiatric Disorders. New York: Marcel Dekker; 1998. Clinicians should screen HIV-infected patients who are actively using alcohol or other substances for mental health disorders at baseline and at least every 4 months thereafter while the patient is actively using. Patients with a history of substance use should be screened for mental health disorders at baseline and at least annually. Mental health screening intervals for patients with substance use disorders are best determined on a case-by-case basis. At a minimum, patients who are actively using alcohol or other substances require routine mental health screening (e.g., baseline and at least every 4 months thereafter) to ensure timely identification and treatment of primary and/or substance-induced mental health disorders. Initiation of more frequent mental health screening in patients with a history of mental health disorders may also be warranted. Other patients, including those with a history of substance use, should be screened at baseline and at least annually. Validated screening instruments for mental health and substance use disorders can facilitate diagnosis and should be used when possible. Screening instruments are designed to complement, not replace, face-to-face evaluation. Although the diagnostic accuracy of many mental health disorders among substance users is improved following a period of sustained abstinence, clinicians should not delay treatment of mental health symptoms that cause significant functional impairment while awaiting abstinence. Clinicians should include HIV-related or other medical causes, including medications, in the differential diagnosis of aberrant behavior or acute change in mental status in patients with concurrent substance use. Primary care clinicians should consult a psychiatrist, preferably someone with experience working with substance users, to assist in the assessment of mental health symptoms in individuals who are actively using alcohol and/or other substances. Clinicians should attempt to distinguish between substance-induced and independent presentations of the following mental health disorders: Depression and mania, anxiety disorders, psychotic disorders, and cognitive disorders. Clinicians treating HIV-infected substance users should be familiar with the psychiatric manifestations of commonly used substances (see text). The accurate diagnosis of mental health symptoms in HIV-infected patients with comorbid substance use can be challenging. For many patients, only a provisional diagnosis can be made, which is then clarified over time. Regardless of causality, mental health symptoms should be treated if they produce significant functional impairment, particularly if the symptoms persist despite a period of abstinence from substance use. Treatment is necessary even if mental health symptoms are secondary to medical etiologies or substance use because substance-related or secondary mental health symptoms can cause significant impairment and suffering (refer to Substance Use-Induced vs. Primary Mental Health Disorders, below). A mental health assessment that is performed during a period of abstinence from alcohol or substance use, such as after 1 or 2 months of abstinence, may help to differentiate substance-induced mental health symptoms from independent mental health symptoms. Assessment for suicidality and potential for violence: Each illness in triply diagnosed patients confers an increased risk of suicide. Among dually diagnosed patients who are not infected with HIV or whose HIV status is unknown, alcohol use and mood disorders have been associated with increased suicidality [Sher 2006]. Patients with co-occurring substance use and mental health disorders have elevated rates of suicide and potential for physical violence. A significant percentage of patients who commit suicide will have seen their primary care clinician in the month prior to their suicide. Signs of suicide may be overlooked when the focus of treatment is directed at other symptoms. Patients who present with increased somatic complaints, changes in mental health or medical status, or changes in significant relationships (e.g., loss of a partner or other significant person in the patient’s life) require more frequent suicidal assessment. Patients who have attempted suicide at least once are most at risk for a suicidal behavior, especially if feelings of hopelessness are present. Vigilance within the healthcare team to identify these signs can ensure timely intervention (see below), including involuntary confinement, when necessary. A result of the substance use—The mental health disorder is secondary and usually starts after substance use; such disorders are known as substance-related or substance-induced mental health disorders. The more extensive a patient’s substance use, the more likely that mental health symptoms are attributable to the substance(s) being used. A significant contributor to the substance use—The mental health disorder is primary or endogenous, usually beginning before substance use. Concurrent occurrence with substance use—The causality is unclear. Overlapping causality and symptoms of comorbid substance use and mental health disorders may complicate diagnosis of a primary mental health disorder. In general, mental health symptoms induced by substance use will diminish over time once a patient achieves complete abstinence. Abstinence or reduction of use may also trigger new symptoms that result from withdrawal from substances during the period immediately following cessation of substance use. For example, withdrawal from alcohol or benzodiazepines can cause significant anxiety and other withdrawal symptoms. Frequent psychiatric manifestations of substance-induced disorders are described below. In addition, other signs and symptoms of substance-induced disorders include intoxication, withdrawal, sexual dysfunction, and sleep disorder. Depression: Depressive symptoms are common with alcohol abuse and dependence. They may warrant treatment if they are severe, continue after detoxification, and/or include suicidal features. Psychosis: Usually attributable to acute alcohol withdrawal but will rarely occur during intoxication. Mania: Mania is rarely alcohol-induced. Mania leads to excessive drinking much more often than drinking leads to mania. Anxiety: Anxiety symptoms are most common during the first week of withdrawal from alcohol and, in some patients, may persist for weeks and months after withdrawal. Symptoms may warrant treatment if they are severe or persist beyond the first week or two after cessation from alcohol. Cognitive impairment: Intoxication may lead to acute cognitive deficits such as memory loss (e.g., “blackouts”). Chronic memory loss is a result of severe, chronic alcohol dependence (e.g., Korsakov’s syndrome); more global dementia may also result from long-term severe alcohol dependence. Delirium: Delirium can occur during severe acute withdrawal and requires emergency treatment. 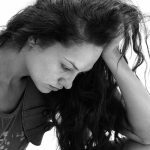 Depression: The majority of opioid-dependent patients have a history of a chronic depressive disorder. Acute and chronic use of heroin may be associated with depressive symptoms, and withdrawal is associated with acute depression. In many patients, depressive symptoms will remit after opioid withdrawal is treated and during opioid-replacement therapy. Anxiety: Opioid withdrawal is associated with severe acute anxiety, at times characterized by panic attacks. In many patients, anxiety symptoms will remit after withdrawal is treated and during opioid-replacement therapy. Psychosis: Psychosis is rare during either intoxication or withdrawal. Depression: Depressive symptoms are most common and severe in first few days or weeks of withdrawal from cocaine, methamphetamine, or other stimulant use. Methamphetamine may induce depression and paranoia during withdrawal that persist during abstinence. Depression may also occur during active cocaine or methamphetamine use. Mania: Mania is most commonly associated with acute intoxication with cocaine or other stimulants and may also be associated with chronic stimulant use. Anxiety: Anxiety symptoms, including panic attacks, are common during intoxication and may become free-standing and persist even after prolonged abstinence. Cognitive impairment: Methamphetamine can cause long-term neurocognitive deficits after heavy, chronic use. Depression: May be associated with chronic use. Anxiety: Withdrawal produces anxiety that is most intense acutely but may continue for weeks to months, particularly with depressant medications with longer half-lives, such as clonazepam and diazepam. Psychosis: Psychosis with delusions (generally paranoid) and/or hallucinations (auditory, visual, and tactile) may occur during severe withdrawal. Psychosis: MDMA (Ecstasy), hallucinogens, and ketamine may induce psychosis during intoxication; GHB may induce psychosis with delusions that may persist for months during abstinence. Depression: MDMA may precipitate severe depression during the acute withdrawal period, 24 to 72 hours after cessation. Cognitive impairment: MDMA, ketamine, and GHB can cause cognitive impairment during intoxication. MDMA can cause long-term neurocognitive deficits after heavy, chronic use. Anxiety: MDMA and hallucinogens can produce symptoms of anxiety during intoxication; GHB withdrawal can produce symptoms of anxiety. The only psychoactive substance for which DSM-IV does not include an induced mood disorder. Cognitive impairment: Heavy, long-term use may be associated with neurocognitive impairment during intoxication. Anxiety: Anxiety and panic attacks may be induced by cannabis intoxication. Mild to moderate anxiety may occur during withdrawal. Psychosis: Psychosis with delusions and/or hallucinations, although rare, may occur. Schizophrenia is thought to be exacerbated by use. Amotivational syndrome: Decreased motivation can occur with chronic cannabis use but improves gradually after cessation. Irritability and aggressive behavior; mania, psychosis, depression: May all be associated with intoxication with high doses of anabolic steroids. Depression may be associated with steroid withdrawal. Certain mental health disorders are more likely to be associated with certain types of substance use. Examples of common associations between primary mental health disorders and risk for substance use are provided in Table 1. Clinicians should immediately refer patients experiencing psychosis, mania, severe depression, or significant cognitive impairment for psychiatric evaluation and care. Supportive care should be provided for patients requiring urgent treatment, and the disposition plan should be explained in simple, clear, specific, and concrete terms. Clinicians should consult with a psychiatrist with expertise in substance use when pharmacotherapy is indicated for patients with comorbid substance use and mental health disorders. Clinicians should carefully consider potential drug-drug interactions when developing a treatment plan for triply diagnosed patients. Chronic treatment with benzodiazepines should be decided upon and managed in consultation with a psychiatrist. Benzodiazepine detoxification should be managed by a clinician experienced in treating substance use disorders. Primary care clinicians should collaborate with substance use and mental health care providers to ensure adequate provision of services to patients with dual or triple diagnoses. Clinicians should provide triply diagnosed patients with information about available substance use- and mental health-related services and, if necessary, should make referrals. Clinicians should ensure that triply diagnosed patients receive coordinated healthcare treatment, whether care is provided from one source treating the three disorders or from three separate sources. When multiple providers are caring for a patient, a plan of care should be developed to avoid duplication of prescription medications and other care. If integrated treatment is not available, primary care clinicians should consult a mental health care provider to develop a treatment plan. Clinicians should have a basic knowledge of the treatment modalities available to dually and triply diagnosed patients to ensure that patients will receive the most beneficial treatment. The manner in which a provider discusses mental health disorders with substance-using patients may strongly influence a patient’s willingness to engage in treatment. Because management of triply diagnosed patients is a process that may extend over the patient’s lifetime, the initial evaluation of the patient’s mental health status, as well as the type and pattern of substance use, should be as much about establishing rapport and trust as it is about obtaining a history. A respectful, honest, and nonjudgmental discussion may help dispel a patient’s mistrust and feelings of shame. The provider’s willingness to participate in a two-way conversation conveys that the provider values the patient and shares the goal of maintaining the patient’s health. Patients should receive behavioral therapy in conjunction with pharmacotherapy whenever possible. Ongoing substance use may limit the efficacy of psychotropic medications. However, pharmacotherapy may be effective in some cases and should receive careful consideration when treatment is indicated. Potential drug-drug interactions are of significant concern in triply diagnosed patients and warrant referral to a psychiatrist with experience in substance use before initiation of psychotropic treatment. Patients receiving pharmacotherapy should also be referred for behavioral therapy whenever possible. Benzodiazepines are safe and effective anti-anxiety agents, but their chronic use can result in dependence. Drug-seeking behavior for benzodiazepines can be attributable to self-treatment of withdrawal symptoms, or enhancement of the euphoric effects, of other substances. In general, clinicians in ambulatory settings should explore alternative therapies to benzodiazepines, including pharmacologic and nonpharmacologic therapies such as behavioral treatment, in patients with either a history of substance use or who are actively using drugs. However, for some patients, treatment with benzodiazepines is indicated. Significant differences in risk for dependence occur among the drugs in the benzodiazepine class. For opioid-dependent patients, methadone treatment is not a contraindication for concurrent use of benzodiazepines. Clinicians should exercise care when prescribing benzodiazepines because the medications can interact dangerously with alcohol and other CNS medications and contribute to cognitive impairment, falls, motor vehicle accidents, or overdose. A brief (2- to 4-week) period of benzodiazepine treatment may be sufficient to allow enough time for more long-term treatments, such as antidepressants or buspirone, to be effective and for acute stressors to pass. If chronic treatment with benzodiazepines is considered, it should be decided upon and managed in consultation with a psychiatrist. In some cases, establishment of a treatment agreement between the clinician and patient can facilitate the patient’s proper use of the medication. When a treatment agreement is used, it is important to remember that it is an agreement rather than an ultimatum. The policies of an institution may affect how or whether a clinician decides to use treatment agreements. If the clinician decides to use a treatment agreement, all points should be agreed upon before the prescription is given. The following are some points that may be included in the treatment agreement. The degree to which the patient and clinician agree to adhere to any one or more of these items will likely vary on a case-by-case basis according to the patient’s and clinician’s needs and philosophies. The clinician and patient may agree to defer initiation of benzodiazepines until the patient has had a mental health evaluation. The recommended length of treatment should be discussed. Treatment should be for brief periods, if possible. For example, the clinician and patient may agree to continue treatment for 3 months, during which time the patient agrees to seek other methods of controlling anxiety. After 3 months, they agree to begin tapering benzodiazepines. The clinician and patient may agree to limit prescriptions to a 14- or 30-day supply and to refill only if the patient comes for scheduled appointments. They may agree that refills over the phone will be limited if a patient consistently misses appointments. The clinician and patient may agree about how to manage requests for early refills due to lost prescriptions or lost or stolen medications. For example, they may agree that the clinician will replace only one prescription per year if the original is lost or stolen. The clinician and patient may agree on a plan that addresses the patient’s future requests for escalating doses of medications. For some patients, it may be useful to agree to inpatient treatment if they require an increase above a specified dose of medication. The clinician and patient may agree to random urine toxicology to monitor for relapse and/or use of unprescribed benzodiazepines or other substances. The clinician and patient may agree to involve friends and family to monitor adherence to medication regimens. The clinician may inform a patient about documentation of prescriptions. For example, the clinician will retain copies to avoid confusion about when prescriptions were written. Some institutions may have policies about prescribing only generic medications because name brands have a higher street value, particularly alprazolam and diazepam. The decision to withhold benzodiazepines needs to be made on a case-by-case basis, weighing the risks and benefits. The risks of withholding or discontinuing medication can have serious medical complications. Documentation of all discussions is important, so that the plan is readily available to covering staff in the original prescriber’s absence. In addition, the clinician can refer back to the plan as treatment progresses. Clinicians may encounter patients who are at risk for benzodiazepine withdrawal. These patients may present with symptoms resulting from iatrogenic or recreational use and require evaluation by a clinician who is familiar with substance use. Patients who are actively experiencing withdrawal from benzodiazepines, or for whom withdrawal is imminent, require emergency assessment for detoxification treatment. Benzodiazepine detoxification should be managed by a clinician experienced in treating substance use disorders. Programs that frequently provide referrals to each other should develop written, working interagency agreements. Adherence to confidentiality regulations must be observed when exchanging information among providers and programs. Clinicians should be familiar with the array of treatment options available in their community for substance use and mental health disorders. Because of the complexity of needs for triply diagnosed patients, clinicians should refer them to programs with integrated substance use and mental health treatment if available. Exchange of information among multiple disciplines, such as HIV, substance use, and mental health, should be well-coordinated for the treatment of HIV-infected substance users. Each clinician should have a clear understanding of his/her responsibility in the treatment plan. Health Insurance Portability and Accountability Act (HIPAA) regulations may affect exchange of information. The clinician should ensure that, if information is exchanged among disciplines, the patient’s written consent is first obtained. To minimize difficulties in exchanging information, release of information forms should be signed prior to referrals. For information about specific privacy restrictions for mental health and substance use services, refer to the Substance Abuse and Mental Health Services Administration’s: Medical Records Privacy and Confidentiality. Program directors should develop interagency agreements and qualified service organization agreements that simplify routine communications. Such agreements also promote a formal mechanism to address the specific HIPAA regulations and privacy requirements of each agency. Interagency agreements should include admission criteria, services offered, and the referral process. The Legal Action Center can be consulted for guidance regarding requirements of these agreements. Care for HIV-infected substance users with mental health disorders is optimal when treatment for HIV infection, substance use, and mental health disorders is closely coordinated. Patients with SPMI and those who are homeless often require more intensive and specialized services. Acute disorder is treated first. After stabilization, other disorder(s) is addressed. Treatment of acute disorder should not exacerbate milder disorder. Patients who may benefit: Those who have one disorder that is mild and does not contribute significantly to or interfere with acute disorder. Provides simultaneous treatment of both disorders but in different settings and by different providers. Necessitates ongoing and effective communication among providers to avoid potential conflicts among different treatment approaches. Requires aggressive case management, preferably by a single case manager who can assist patients across settings. May be the only option available in areas with limited resources. Patients who may benefit: Those who are motivated and able to navigate multiple systems. Substance use and mental health treatments occur in the same location. Providers are trained in both fields and have regularly scheduled meetings to discuss treatment progress and planning. Optimal treatment includes HIV care at the same location. Truly integrated models of treatment for co-occurring disorders are not commonly available in many communities. Patients who may benefit: May be the preferred treatment strategy for SPMI patients with active comorbid substance use. May also be effective for patients who require careful monitoring of HIV-related medications and psychotropic medications. The most effective treatment(s) for a particular patient will depend not only on the mental health disorder and substance(s) involved but also on factors such as motivation and readiness, course and severity of disorder, and the presence of psychosocial and medical complications. Clinicians can make referrals to specific complementary treatment programs to manage the difficulty of addressing the complex conditions that triply diagnosed patients encounter. These programs are available in a variety of settings, described below. The most common nonpharmacologic treatment modalities offered by dual diagnosis programs are described below. Individual psychotherapy: Motivational counseling, supportive counseling, and cognitive-behavioral and psychoeducational therapies. Patients in early stages of recovery may require motivational counseling and relapse-prevention counseling. Expressive therapy may not be indicated in early recovery because it may stimulate painful psychological conflicts that could destabilize recovery and trigger relapse. Expressive therapy may be used later to promote insight. Group therapy: Most widely used modality. Group-based cognitive-behavioral, supportive, and psychoeducational techniques are usually employed. Family therapy: May be used to provide added support and educate family members about substance use, mental health disorders, and their treatments. Self-help groups: Clinicians should advise patients to find a group that meets their needs, such as one that is comfortable with persons taking psychotropic medications, including agents such as methadone or buprenorphine. Although some self-help groups may be critical of psychoactive substance use, even prescribed psychotropic medications, other groups have been formed that are more inclusive. Not indicated for patients who have difficulty interacting in large groups or coping with confrontation, such as patients with SPMI.